An educational blog sponsored by Classic Controls focusing on education and training for the process control, instrumentation, and industrial valve community. Calibration is an essential part of keeping process measurement instrumentation delivering reliable and actionable information. All instruments utilized in process control are dependent on variables which translate from input to output. Calibration ensures the instrument is properly detecting and processing the input so that the output accurately represents a process condition. Typically, calibration involves the technician simulating an environmental condition and applying it to the measurement instrument. 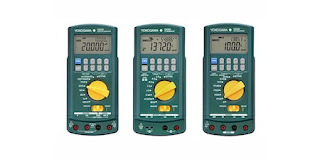 An input with a known quantity is introduced to the instrument, at which point the technician observes how the instrument responds, comparing instrument output to the known input signal. Even if instruments are designed to withstand harsh physical conditions and last for long periods of time, routine calibration as defined by manufacturer, industry, and operator standards is necessary to periodically validate measurement performance. Information provided by measurement instruments is used for process control and decision making, so a difference between an instrument’s output signal and the actual process condition can impact process output or facility overall performance and safety. In all cases, the operation of a measurement instrument should be referenced, or traceable, to a universally recognized and verified measurement standard. Maintaining the reference path between a field instrument and a recognized physical standard requires careful attention to detail and uncompromising adherence to procedure. 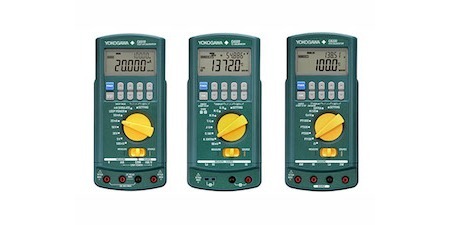 Instrument ranging is where a certain range of simulated input conditions are applied to an instrument and verifying that the relationship between input and output stays within a specified tolerance across the entire range of input values. Calibration and ranging differ in that calibration focuses more on whether or not the instrument is sensing the input variable accurately, whereas ranging focuses more on the instrument’s input and output. The difference is important to note because re-ranging and re-calibration are distinct procedures. In order to calibrate an instrument correctly, a reference point is necessary. In some cases, the reference point can be produced by a portable instrument, allowing in-place calibration of a transmitter or sensor. In other cases, precisely manufactured or engineered standards exist that can be used for bench calibration. Documentation of each operation, verifying that proper procedure was followed and calibration values recorded, should be maintained on file for inspection. As measurement instruments age, they are more susceptible to declination in stability. Any time maintenance is performed, calibration should be a required step since the calibration parameters are sourced from pre-set calibration data which allows for all the instruments in a system to function as a process control unit. Typical calibration timetables vary depending on specifics related to equipment and use. Generally, calibration is performed at predetermined time intervals, with notable changes in instrument performance also being a reliable indicator for when an instrument may need a tune-up. A typical type of recalibration regarding the use of analog and smart instruments is the zero and span adjustment, where the zero and span values define the instrument’s specific range. Accuracy at specific input value points may also be included, if deemed significant. The management of calibration and maintenance operations for process measurement instrumentation is a significant factor in facility and process operation. It can be performed with properly trained and equipped in-house personnel, or with the engagement of subcontractors. Calibration operations can be a significant cost center, with benefits accruing from increases in efficiency gained through the use of better calibration instrumentation that reduces task time. Classic Controls is a total solutions, single-source provider of industrial process instruments, systems, valves and equipment. Along with representing “best-in-class” manufacturers, Classic Control's workforce is comprised of people driven by total customer satisfaction, who are technically strong and conscientious, and who can expertly apply, train, and support Classic Controls products. Classic Controls also offers complete services in both systems integration and valve & actuator repair.